Turning an Android smartphone into something like an iPhone or a Windows Phone (or vice versa) is a very common type of customization that people like to do. It lets them enjoy the functionality of one mobile platform while having the looks of another. 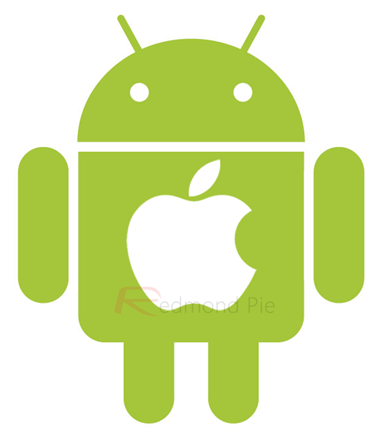 Although I am not at all a fan of such customization, if you’re the type who wishes to make their Android look like an iPhone, this post is for you. Before we get down to the three most common methods to get the iPhone look on Android, consider this: if you want the true iPhone look, you’ll have to get yourself an iPhone. No launcher/ROM/customization will ever nail the iOS look, and the better ones that are available are, well, well-intentioned but still far away from looking like iOS. 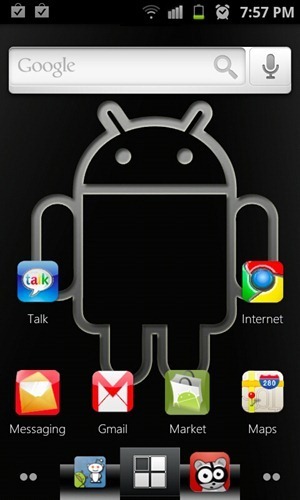 The most common and safest way to get an iPhone-like look on Android is to download, install a launchers like ADW or GO. Both pack their own set of unique features, but have one common aspect: theming. You can download a wide variety of themes (originals, clones, mash-ups, whatever floats your boat) that give your device a distinct look. Despite being the easiest and most configurable method, we aren’t big fans of it. Firstly, because the free themes aren’t of good quality and the paid ones cost more than full-fledged apps. Secondly, because these are, well, themes that are added on top of a launcher; they aren’t made from the ground-up and that is exactly why you’ll find lots of rough edges. There are dozens upon dozens of iPhone themes. 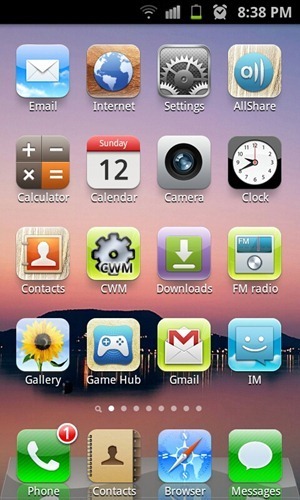 Search for “iPhone ADW/Go launcher themes” on Android Market. MIUI-enthusiasts don’t like it when anyone says that MIUI is an iOS rip off and I do agree with them somewhat. “Rip-off” is a pretty harsh word for MIUI’s truly distinct look that just happens to be inspired by iOS with its rounded icon edges and absence of apps-drawer. 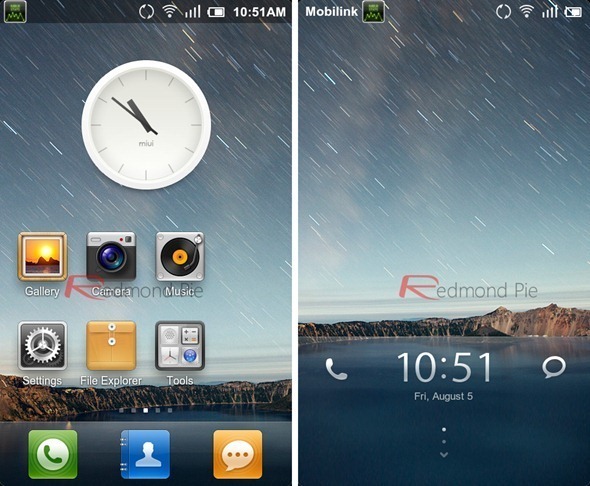 MIUI is a custom ROM that can be flashed to any rooted supported device. The procedure involves gaining root access to your device, downloading MIUI, booting into a custom recovery like ClockworkMod, doing a factory rest, wiping cache and then flashing MIUI. It might sound difficult, but we’ve got you covered. Just follow our tutorials step-by-step. We recommend this method since a. it is absolutely free b. MIUI is simply a sight to behold c. MIUI comes with nice extras like enhanced Music, Gallery and Camera apps, a powerful notifications drawer as well as a flexible theming system. The problem with this, though, is that it doesn’t work on every device out there and isn’t as easy to implement as methods #1 and #3. The last method is similar to Method #1 in that it involves a launcher. The difference here is that Espier Launcher was developed from the ground up to look and work like Springboard on iOS. Unlike the themes on ADW/GO, Espier comes with Spotlight-like search, Folders, “jiggly mode”, uninstall-in-one-click and more! We tested Espier back in October and tested it again for this guide. Its performance and flexibility has improved considerably since then and we highly recommend it to anyone who likes the iOS look. Are there more ways to make your Android smartphone look like an iOS device? Leave your suggestions in the comments section over on our Facebook and Google+ page!